The KE series turbo Laser was a serious performer for its day, with the intercooled unit boosting performance to a claimed 100kW versus 61 for the normally-aspirated unit. Throw in 4WD and you had something that hung on like the proverbial limpet, particularly in slick conditions and gave you a real sense of confidence on a backroad. 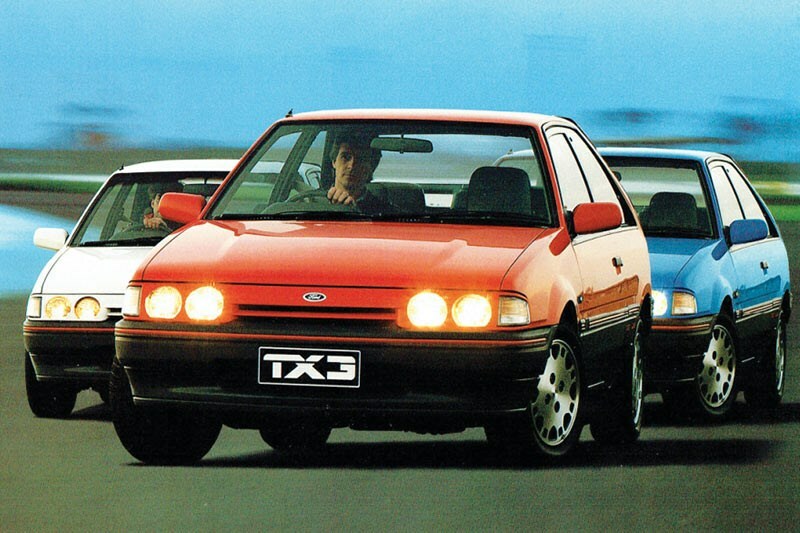 Ironically the extra weight of the four-paw drive meant the front-wheel-drive turbo was lighter and marginally quicker in a straight line and had less mechanical woes as it aged. That said, the 4WD was still the hero model and by far your biggest challenge these days will be finding one that isn’t a complete basket case. The engines on these things are famously strong, though the five-speed transmission on the 4WDs could develop dramas if used hard over a long time. Angelo, our resident Laser nut, reckons the biggest hassle for the restorer could be the internal trim which is hard to find and becomes brittle with age. You’d also want to carefully check out the drive line and underpinnings, including the adjustable ride height fittings. We can’t say you’ll ever retire rich on the proceeds of one of these things, and it won’t be easy to find a car that would cost far more than it’s worth to get back into shape. But find the right one and you’ll be rewarded with a fun little car that will turn a surprising number of heads.